Just because you’re deep in the urban jungle doesn’t mean you can’t discover nature. Wander along the waterfront and through the parks surrounding Swissôtel Merchant Court recording the plants, insects, and birds that you see along the way. If you place your observations on iNaturalist, they’ll go into a worldwide databank of biodiversity that helps us to understand our world. View species already observed in downtown Singapore on iNaturalist. Here you can see a guide to what’s already been discovered in the neighborhood. Add your observations to provide more data for a deeper understanding of urban ecology. Visit the Swissôtel Merchant Court Nearby Nature Project on iNaturalist. Here you can join the project as a citizen scientist by sharing YOUR observations alongside those of other guests, staff, and friends of Swissôtel and downtown Singapore. Tips on How to use iNaturalist and to join a Swissôtel Nature Nearby Project. Please enjoy the many walk-to attractions near Swissôtel Merchant Court. The sights are within a brisk walk of your hotel. They will add joy and discovery to your visit. View the Merchant Court Vitality Guide here. 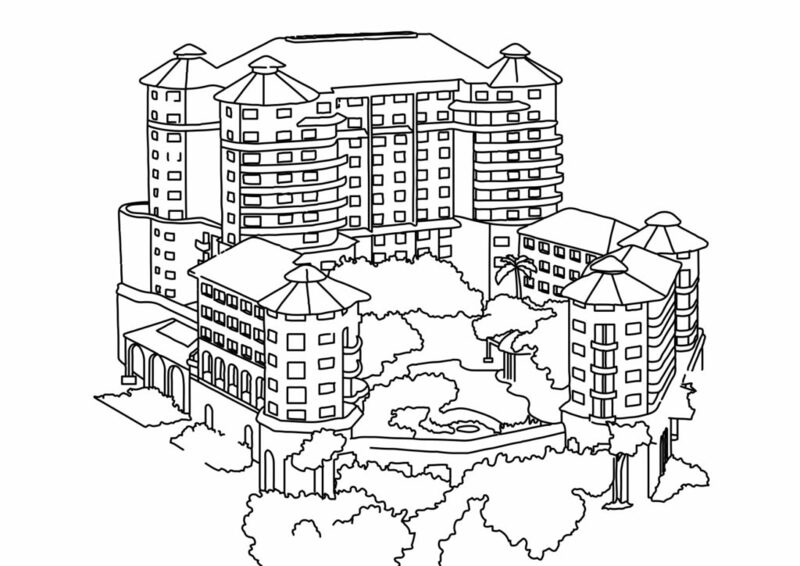 Draft of coloring placemat for Swissôtel Singapore Merchant Court.